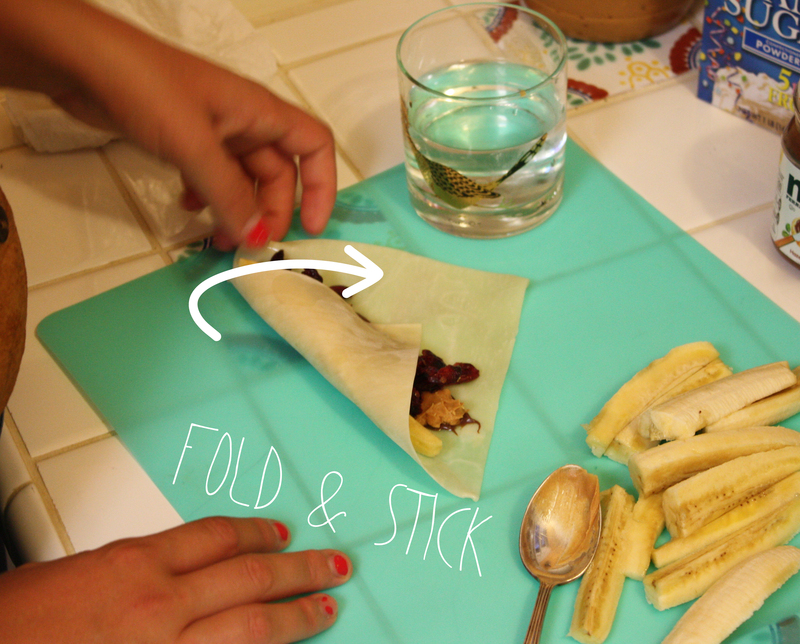 I know what you’re thinking… Banana eggrolls? What does that even mean?! 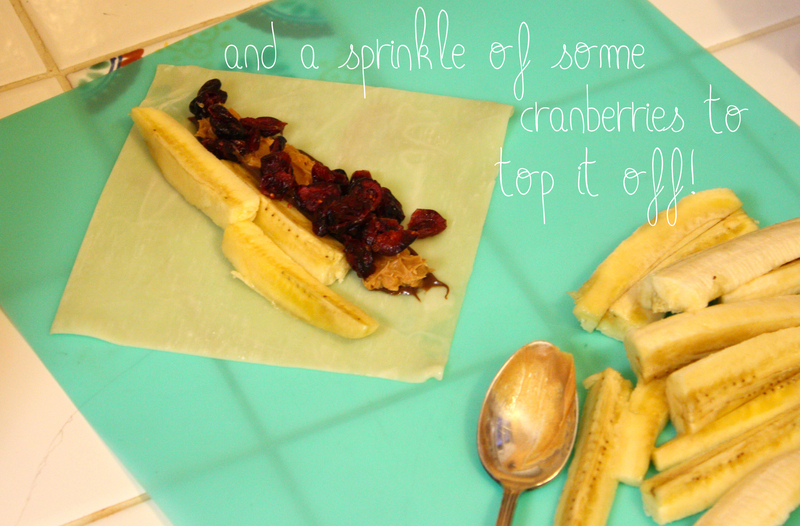 That sounds disgusting… But I’m just going to say right now I didn’t even like bananas before I tried this tasty treat. 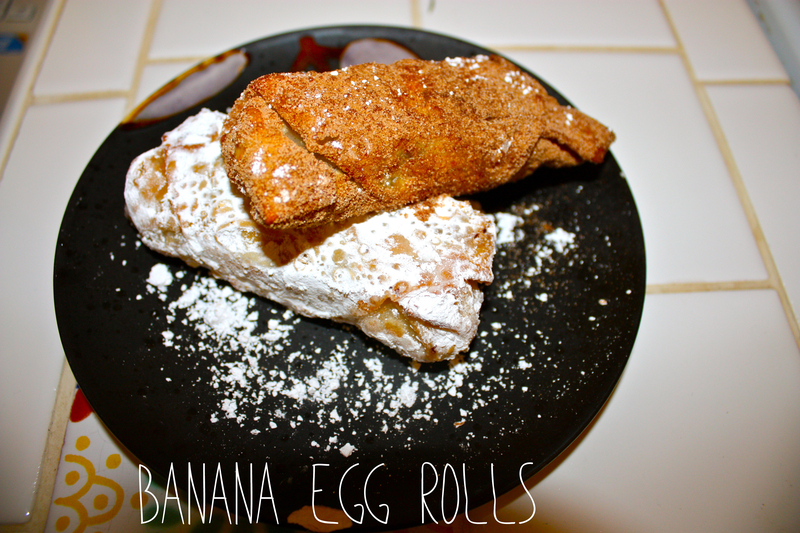 That’s right, this sweet dessert (no, its NOT the normal savory egg roll you’re thinking of) singlehandedly converted me into a banana eater. 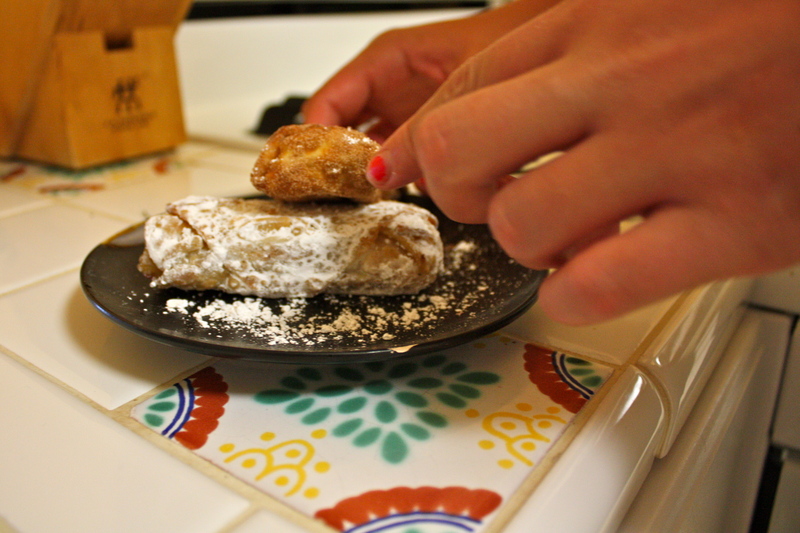 Creamy, crunchy, and scrum-diddily-umptios quite literally, all rolled into one of the most amazing desserts ever! 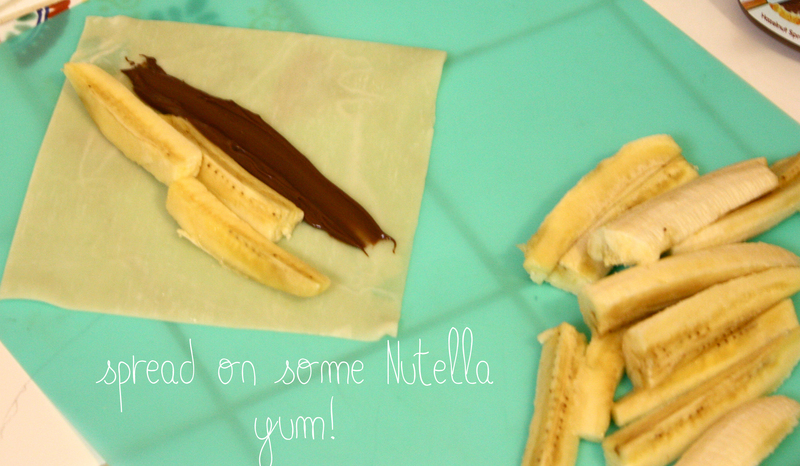 Oh, and did I mention it has Nutella in it? Wipe the drool off your chin and keep reading. 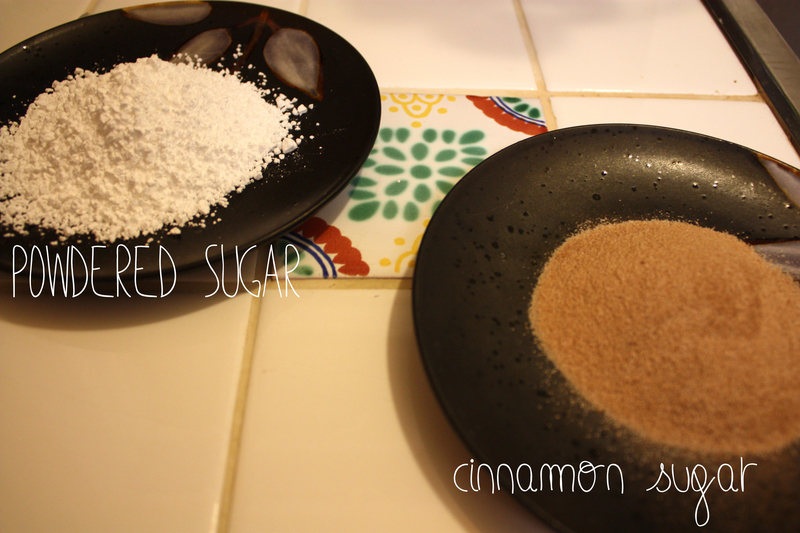 Once you have tried this recipe, you may feel adventurous and want to add in a bunch of other goodies (candies, fruits, jams/jellies, nuts, or anything else sweet). I say go big or go home. I also recommend you try this a la mode. It’s to die for! 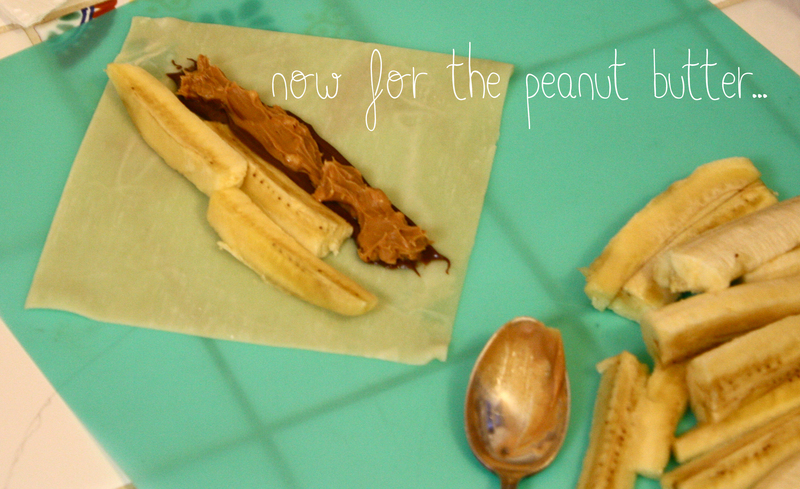 Grab a cutting board and let’s slice up those ‘naners! 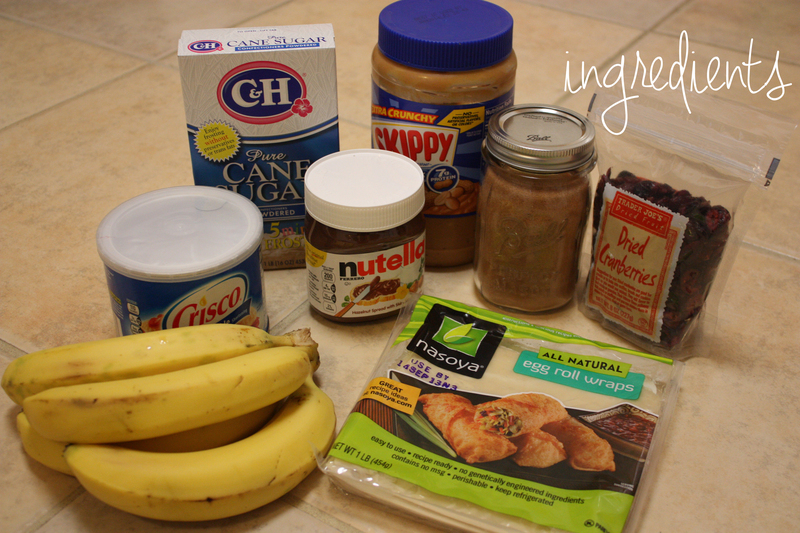 Next up, use a spoon to spread on your gooey goodness. Be gentle because the wraps are delicate! You want to have clean, dry hands and a small bowl or glass of water that you can dip your fingers into. 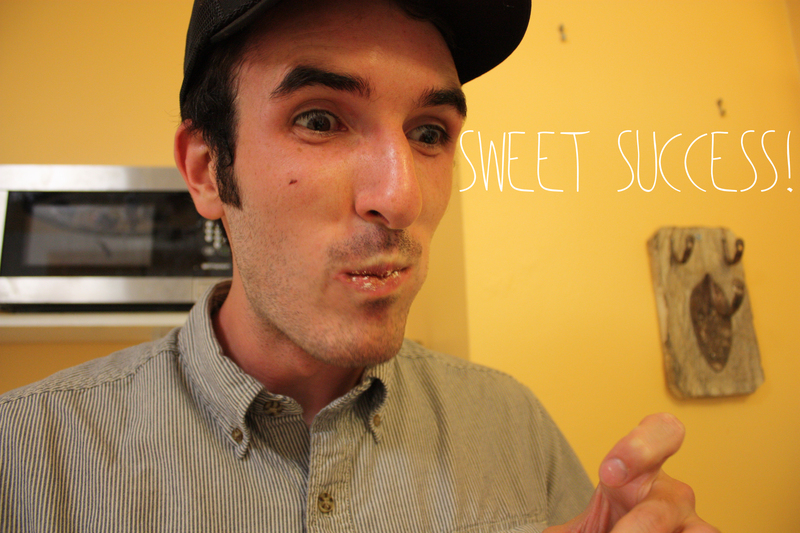 You may add a little sugar to the water if you’d like more “stick” to your egg rolling. A clean rag to dry your hands on wouldn’t hurt to have either. This is where you will want to harvest your inner Chipotle burrito folding skills (but seriously, how do they fold those massive things?!). 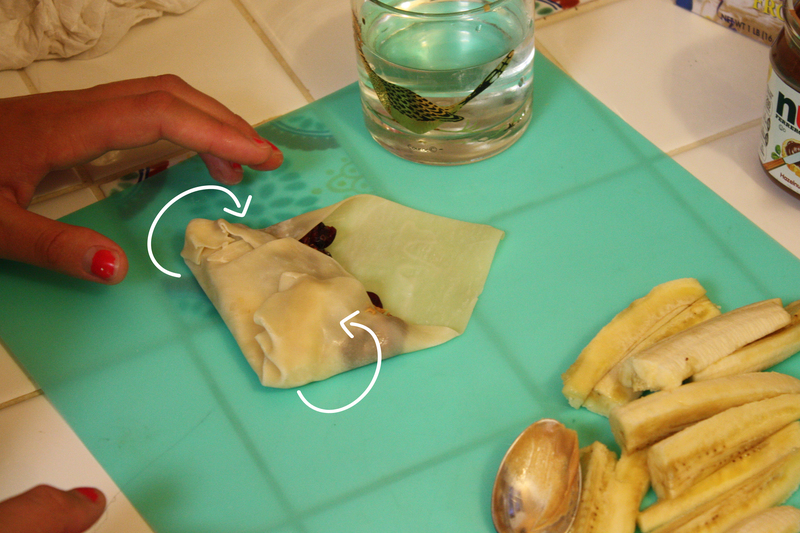 Take the bottom corner of your eggroll and use a little water to wet the end of it. 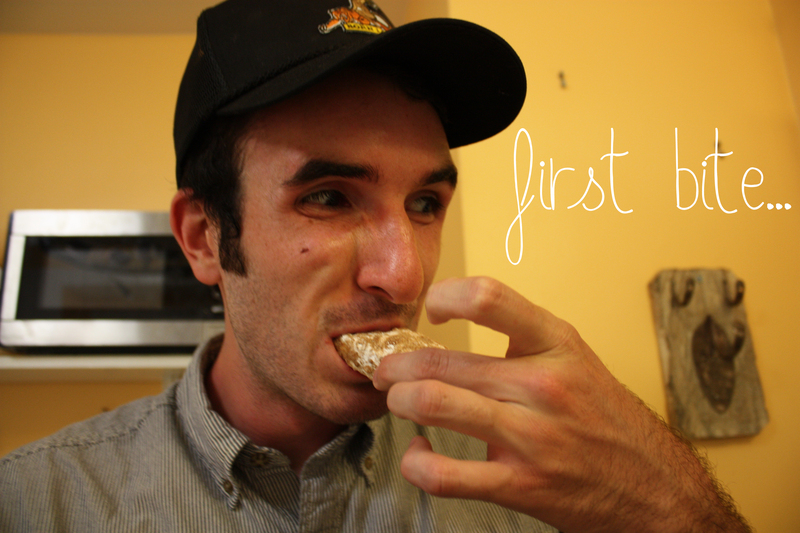 Gently stick it to the top of your inside fillings, as you see below. 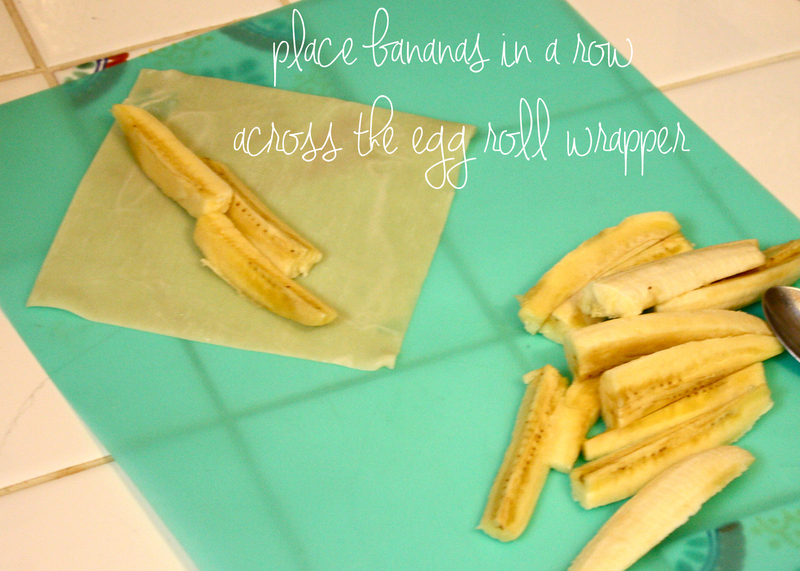 Use a little water on the outer corners of the wrap and fold them inward like an envelope. 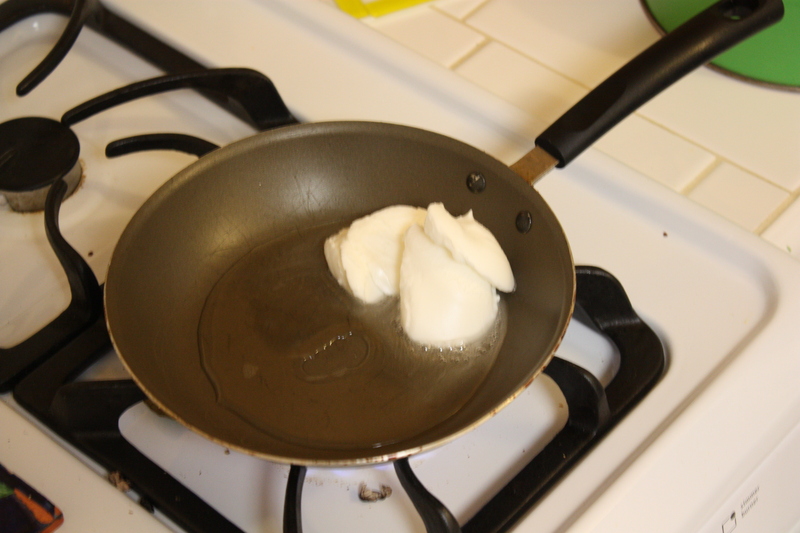 Heat up that Crisco on a frying pan at a medium heat. Be patient and don’t have it on too high or you will burn these little guys! 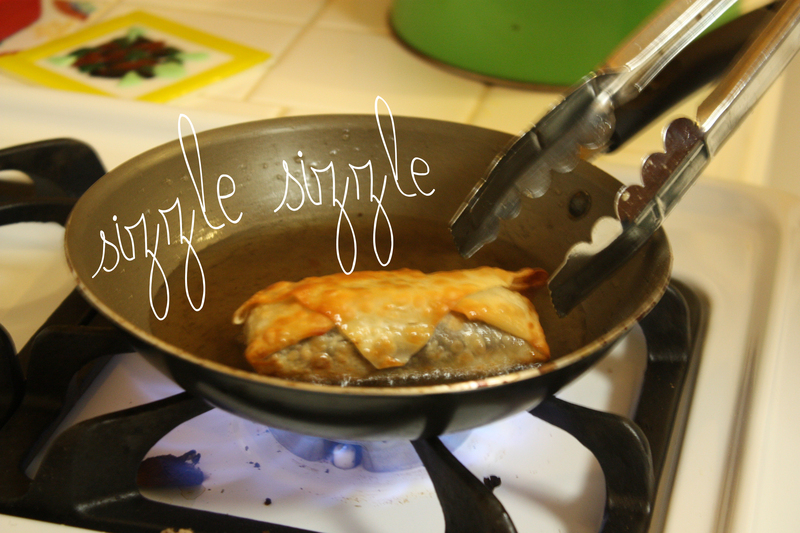 Using a pair of tongs, gently drop your egg rolls into the pan and continue turning them until you get a nice golden brown. 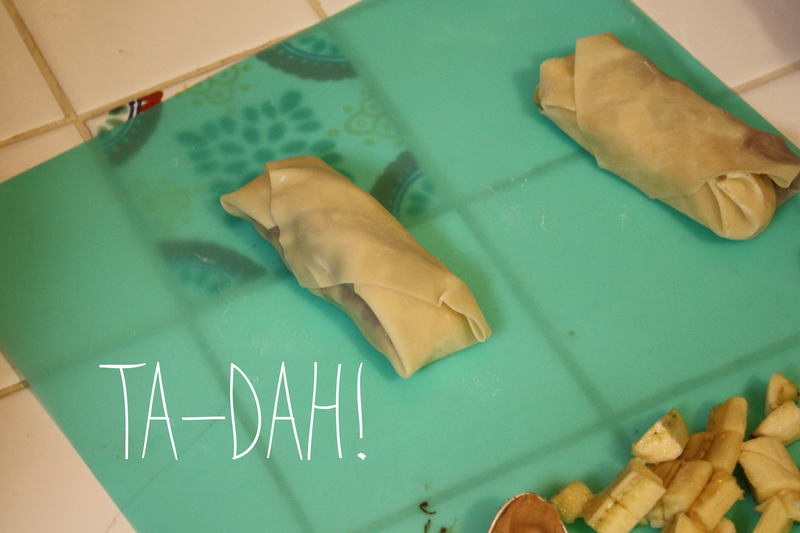 Put the rolls onto a paper towel once they are finished. This will help soak up some of that grease! 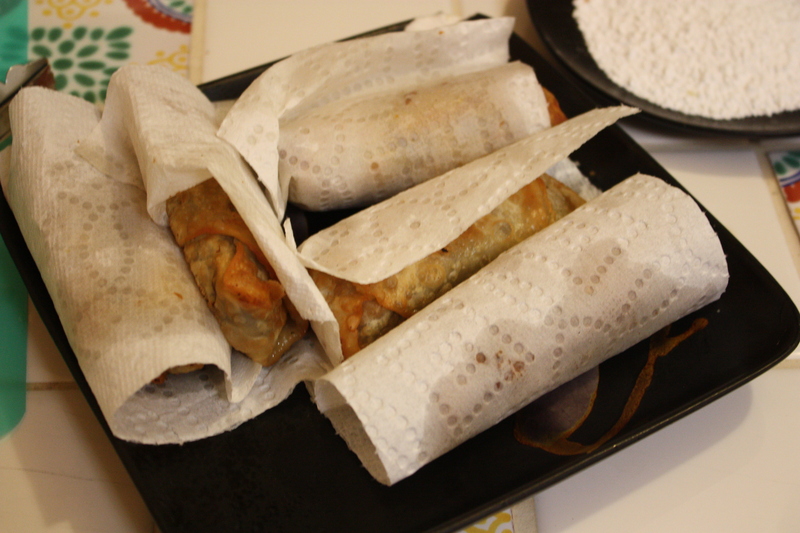 You’re not done rolling just yet… Now you have to coat the outside of the egg rolls with either cinnamon sugar or powedered sugar. Who are you kidding though? Why not both! And there you have it folks. 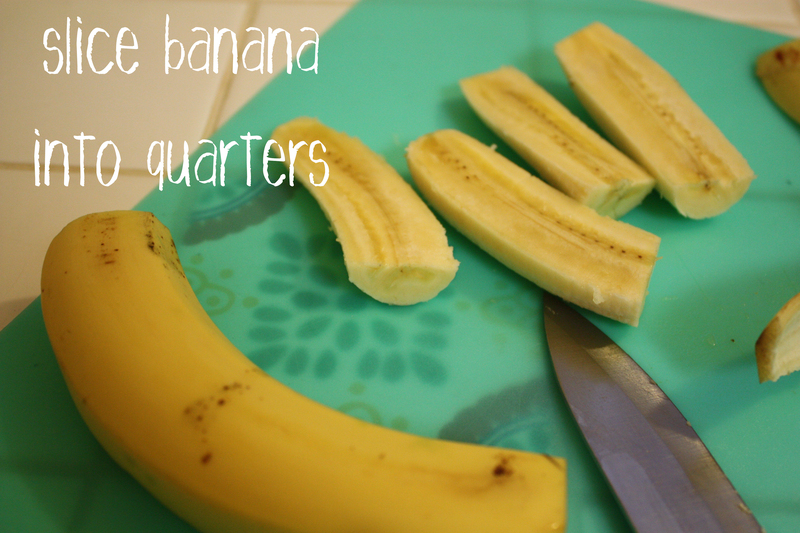 A tasty dessert you’ll go absolutely bananas for!